Clave (top) + Conga (bottom) rhythm in score notation. Clave (red) + Conga (blue) rhythm as polygons. the rhythmic levels are hierarchical – there is a slow and metrically dominant level; above this is a faster and weaker level that splits the previous level's beats; above this is an even faster and weaker level that splits the previous level's beats; and so on. A demonstration of how a well-formed hierarchy is built, and the effect of the lowest level's beat-size ratio. An irregular elemental polygon: 1 triangle + 1 pentagon - 1 digon. 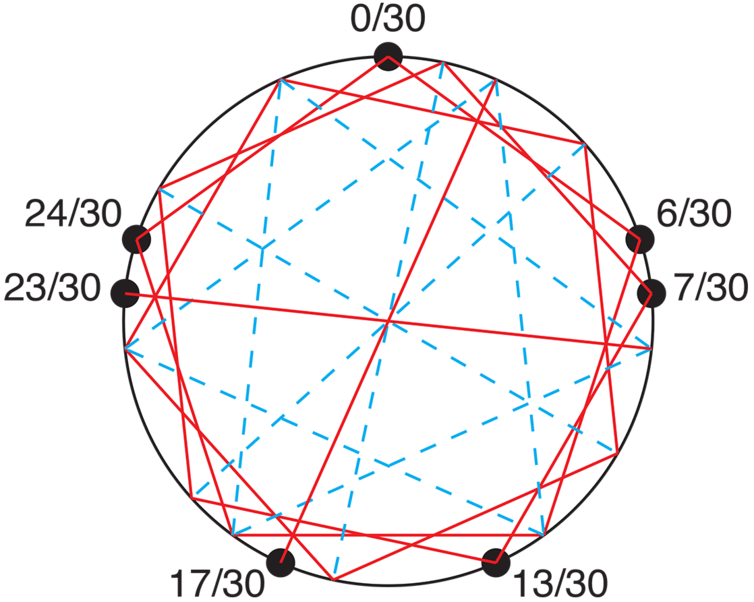 Only the labelled vertices are sounded. 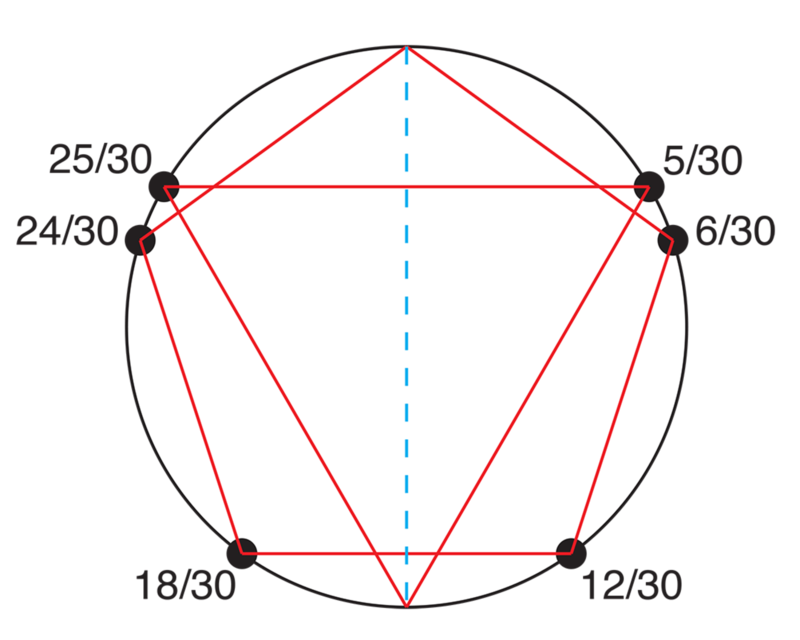 An irregular elemental polygon: 2 digons + 3 pentagons - 3 digons - 2 triangles. Only the labelled vertices are sounded. 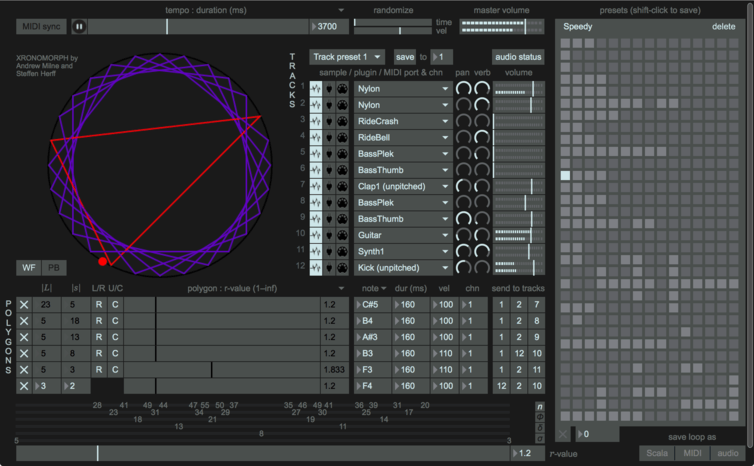 Early reaction from musicians and composers has been highly enthusiastic with comments such as "This is an inspired design – truly musical", "the most interesting and inventive new app around" and "this really helps me better understand and create beats".